Cascadia, an area sometimes referred to as the Pacific Northwest, is a bioregion based around the Cascade Mountain Range, spanning most of the US states of Idaho, Oregon and Washington as well as bits of northern California, Montana and Nevada, southern Alaska and the Canadian province of British Columbia. A bioregion is an area that shares geographically similar characteristics; other examples include the Amazon Rainforest, the Sahara Desert, the Arctic and the Great Plains. Bioregionalism is a political and cultural movement that began to take hold in the 1970s, based on the idea that an area’s geographic characteristics are the biggest influence on life in those regions, and therefore those regions are culturally, economically and environmentally distinct from the bioregion next door. The aim is to educate the people about local natural conditions to promote the sustainability of natural systems and the way of life there and embrace opportunities to improve living conditions for the benefit of local sustainability. 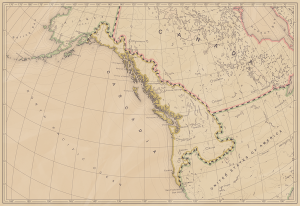 Cascadian bioregionalism is closely aligned with environmentalism, with environmental stewardship as it’s primary goal. 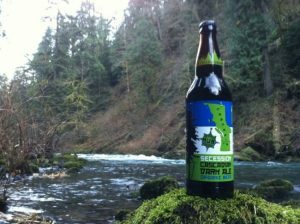 Secession Dark Ale, a Cascadian brewed and patriotic ale. There are (weak) calls for independence based on Cascadian Bioregionalism, rooted in the environmentalist movement. The argument is that those in Washington State and Oregon have more in common in their lives with those in Canadian British Columbia than those in Washington DC – especially as we enter a more global, internet powered age. 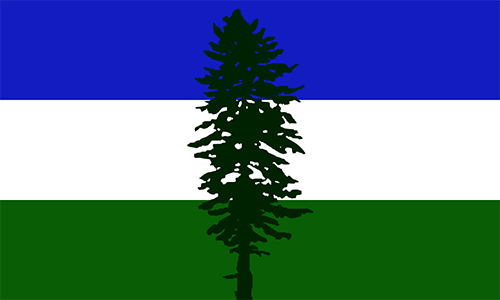 The Cascadia Football Team have no stance on Cascadian independence. Americans love their sports, and although soccerball has had a slow start, it’s been steadily building momentum for the last couple of decades. There are three major cities within Cascadia – Vancouver, Seattle and Portland. In 2004, fans of the football sides in these cities created the Cascadia Cup – a two foot tall silver trophy awarded annually to the team who has the best record against the other sides in MLS matches. Traditionally, Vancouver are the strongest side. However, a love of football aside, the national team is a total unknown quantity. They haven’t yet played a game since being accepted into ConIFA last year, but qualified for the world cup anyway for geographical reasons – they are the only team from North America (apart from Quebec who are not playing “unfederated” games at the moment, in an attempt to garner better relations with soccer authorities in Quebec and potentially becoming a CONCACAF member one day). They have put out an open call for players and coaches, who will most likely be playing together for the first time at the ConIFA World Cup. 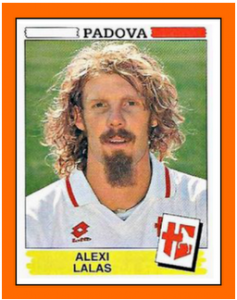 There have been rumours that Alexi Lalas might get involved, so perhaps they’ll be able to field a strong side. Or not, if that’s your view on Alexi Lalas. Update, May 2018: Alexi Lalas isn’t involved. The Cascadia squad will be captained by James Riley, who played 11 seasons in the MLS.